Love Slack? 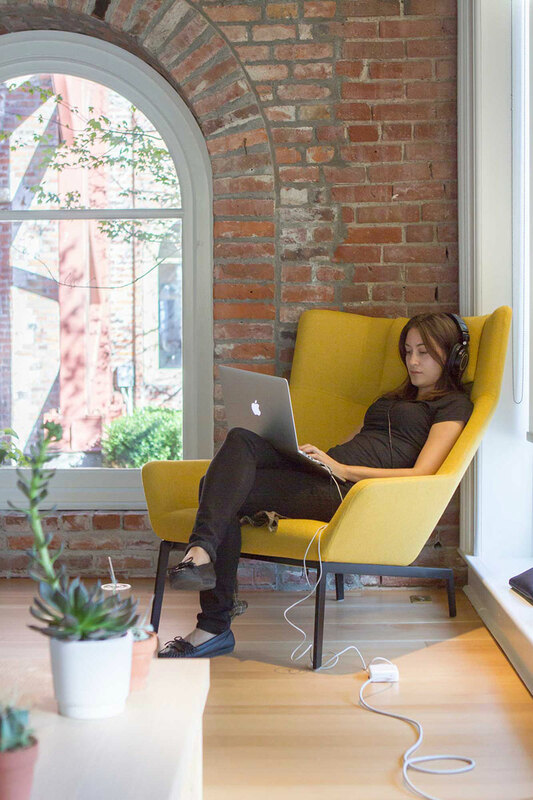 Thank Victoria, BC-based MetaLab, the company that designed the web’s most popular corporate chat client from the ground up. They’re also known for building TED Connect, Notarize, and many more beautifully designed, highly functional products and apps. 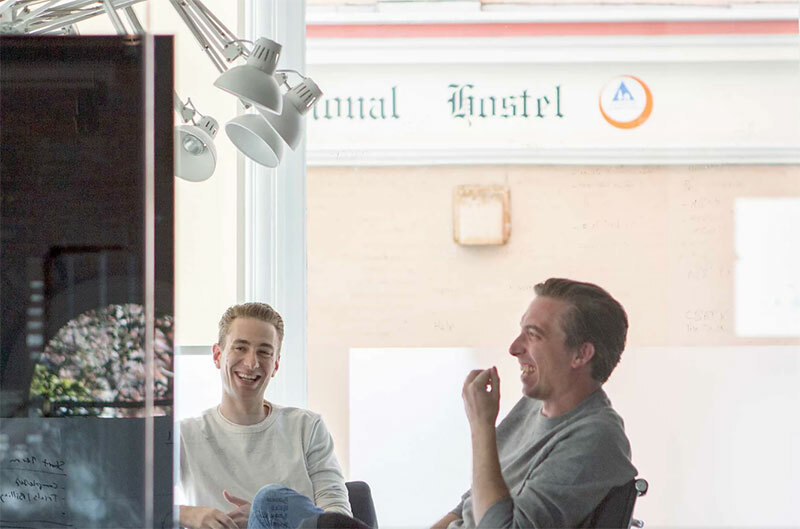 We couldn’t be more proud to have them as part of the InVision community. 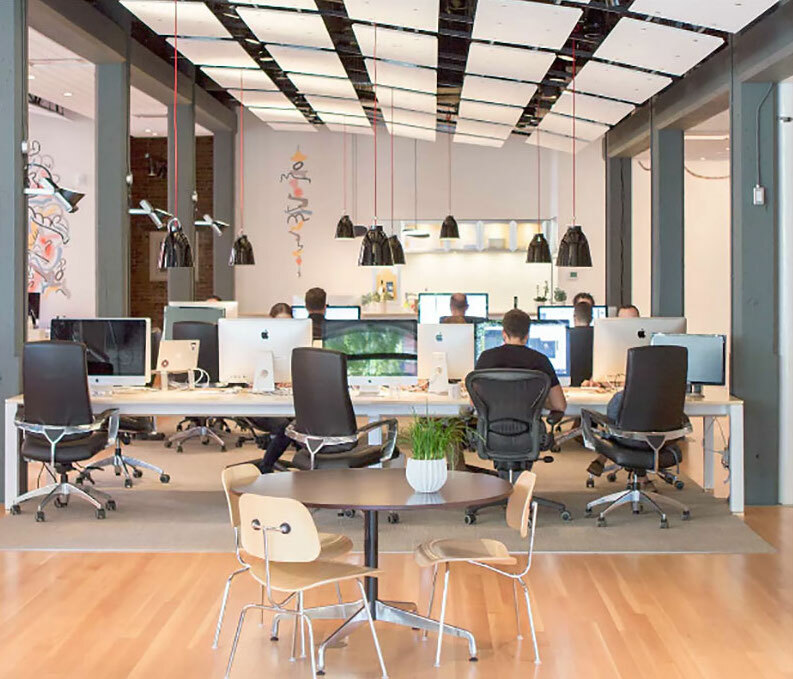 We sat down with MetaLab’s Design Leads Oliver Brooks and Ryan Le Roux to find out about how their remote team collaborates, how they vet new clients, and what good design is. How is the design team set up at MetaLab? Oliver: We have 22 designers, and about half of our team works remotely. 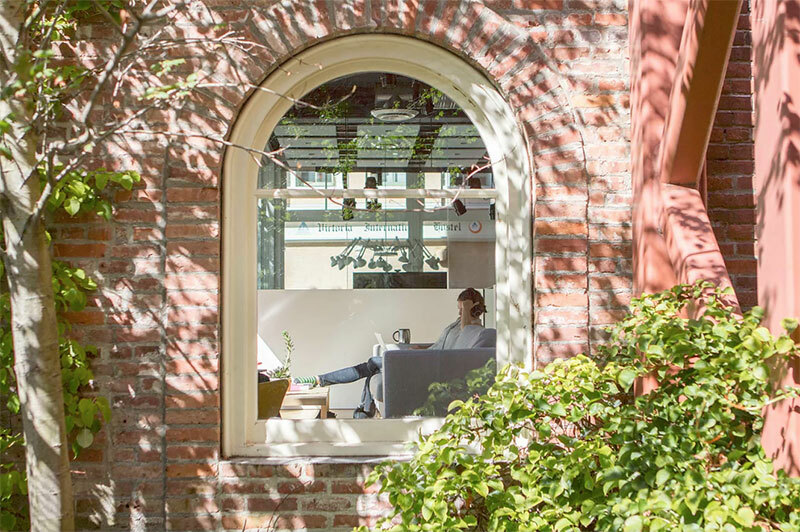 Our main office is in Victoria, a small city that doesn’t have a huge pool of design talent to draw from, so hiring remote workers has enabled us to put together a really strong team. All of our designers can do visual design, but everybody’s skillset varies in terms of their strengths and weaknesses on things like UX, iOS, etc. Typically, we don’t break out of the roles as granularly as some other companies do. There’s a general sense that everybody has something to contribute to all the different phases in a project. And although certain people have strengths and weaknesses, when we resource a project, we typically don’t break it down to where we have a dedicated UX designer, or a dedicated visual designer, or anything like that. Ryan: We want to make sure that the people on the project are all there from the beginning. Even our CEO will take a designer with him to meet a client and allow design to start thinking earlier on in the project. Our feeling is, if we get too granular and only let people do what they’re really great at, they won’t be able to grow in different areas and they won’t be able to learn about how product design works as a whole. Every project has at least 2 designers on it—and ideally, those 2 people complement each other. 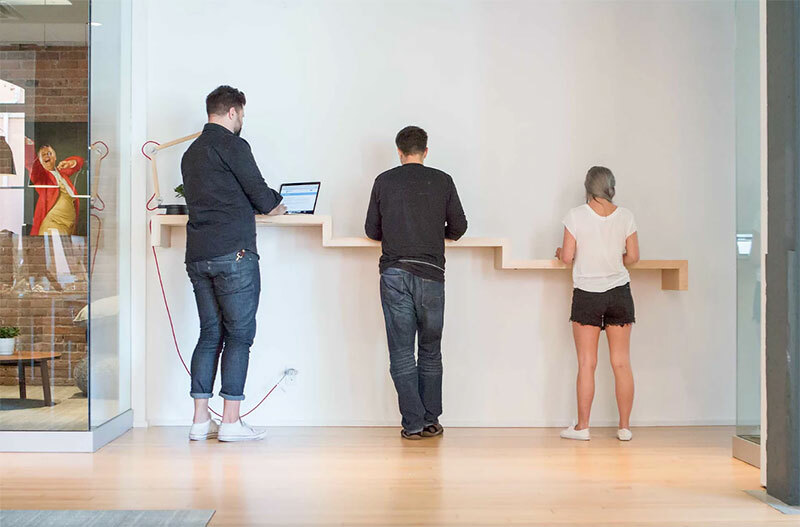 What’s the design culture like at MetaLab? Oliver: We’re big on learning here. People come through the door with a certain expertise, but we want to help designers grow into all the areas that they’re interested in and really broaden their skills. It makes for a much better product—and a much happier team. The last thing we want the team to ever feel like is that they’re in a corporate environment, or that there are people unnecessarily lording authority over other people. 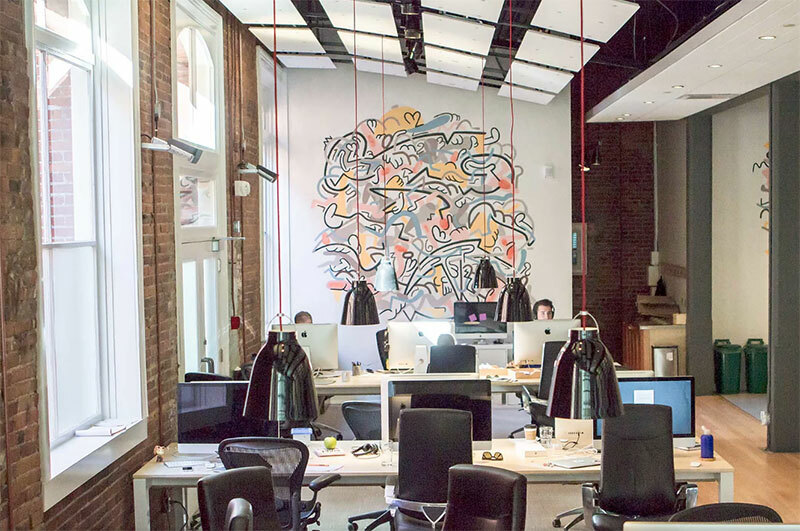 We have a highly collaborative environment where every designer, from interns up to design leads, feel like they have a voice and can bring up ideas they have. Ryan: When you’re competing for talent with the juggernaut that is San Francisco, you have to be more creative with the resources you have. With us, our team’s able to take on more responsibility and experience growing at a pretty rapid rate—and they’re thrown into facing different challenges that I don’t think they’d necessarily face anywhere else. We wrote a design handbook for onboarding that sets the tone of what we expect from the team in terms of behavior and culture. In a sense, it’s all about collaboration and education. As we scale, it’ll be harder and harder to maintain what we have, but as long as people have that understanding and expectation coming into the environment, then that’s what they need to be successful here. I believe it’ll be a lot easier to maintain and consider that culture. Do you have more of an agile workflow where you pass feedback back and forth between the client and make instant changes? Oliver: Our process is definitely more agile—we try not to be super prescriptive with the team. We have a broad set of principles, but every project is a little different because every client is different. We have to settle into a cadence with them that they’re happy with and we’re happy with. And sometimes it takes a little while to figure out what exactly is the best situation for a client. Oliver: Our whole process revolves around InVision, Slack, and Basecamp—plus some in-person meetings and hangouts when necessary. InVision is at the core of how we gather and execute on feedback. InVision lets us be so much faster than anything else because you just get all of that feedback in context and the annotations are essentially tasks by default. It’s just so easy. It’s crazy to think there was a time when we weren’t using InVision. What are your team meetings like? Ryan: When I started, it was just me and Oliver on the design team. Shortly after, we added a third designer, and we’d check in occasionally on Slack—we never really had any design meetings or company meetings. 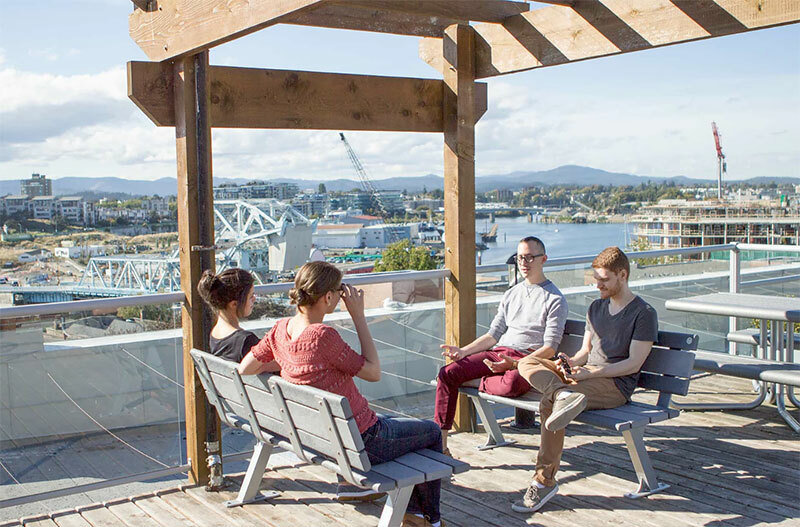 But in the past year, MetaLab’s grown so much that we’re in the process of having our first ever design summit where we’ll get our team together in Vancouver for a few days so we can have a roundtable discussion and figure stuff out as a team. Oliver: And on a day-to-day basis, we have a Slack channel just for designers where we share our work, ask for feedback, and share interesting articles on design. Tell us about your design process when you’re working on a new project. Oliver: We’re not hyper-descriptive, though we always make sure projects have a senior lead on them to help guide things. It’s a pretty typical standard design process of doing your homework, becoming the subject matter expert, really understanding the space that you’re designing for, understanding the other products that are also out there, and figuring out what they’re doing well and aren’t doing well so that you have a clear idea of what you’re designing for. Beyond that, we do a lot of in-person kickoff meetings where the designers can get together and flesh out a bunch of ideas by sketching, whiteboarding, or drawing on Post-it notes. Everyone has a different way of working, so we make sure they have the tools they need to get things done. Next comes wireframing. Wireframes could be low fidelity or high fidelity depending on the client and the type of product. We might even do testing in wireframes—it all depends on the customer. If the client is tech-savvy, for example, they might have no problem checking out wireframes first. If we’re building a product for people who aren’t tech-savvy, though, we’d want to go with low-fidelity designs for testing. How do you deal with prospective clients that you don’t want to work with? Ryan: We’re lucky to have an awesome client-side team that’s made up of awesome people who are dedicated to managing client relationships, onboarding new clients, and determining scope and big-picture subjects. They do a fantastic job of working with internal teams to determine what kind of stuff we’re going to be working on and what projects are a good fit. They make sure that when clients come through the door, we’ve set expectations properly in that everybody’s on the same page about what we’re going to do and what we’re going to achieve. Oliver: It’s rare for people on the design team to interact with a client who hasn’t been vetted. A huge part of making a good product isn’t just the design of it—it’s when everyone working on the project can work well together, and a big component of that is the client, their perception of their product, and how they want their project to be run. Ryan: Interviewing is always hard for me because as a designer I’m very curious and inquisitive, and I always find something that I like in everyone we interview. But at the end of the day, a successful job candidate needs to hit the bar that’s been established—and it’s tough to find people who do that. We get a lot of portfolios from students who have a fantastic process and tons of documentation, but we’re looking for people who can also hit the visual bar. The question always is, are you a design thinker and able to make something look beautiful? Most of the time, you only get one or the other. Oliver: Sometimes as a base criteria, I ask myself if I’d hang out with them. A solid job candidate has something to teach the team. Do you pay attention to any metrics as you’re designing? Oliver: Quantifying work is always a struggle for designers. It’s really easy to do work and say, Well, that was great and it looks awesome, and then walk away and move onto the next project. We’re buliding relationships with our clients—we’re not just doing things and disappearing into the sunset. We need to be held accountable for the work that we do. With any client we work with, the baseline expectation is that we’re establishing a longer term relationship with them, so there’s an assurance of quality we’re held accountable for. That means we need to understand how the product decisions we’ve made are impacting users. Ryan: It’s an ongoing process. 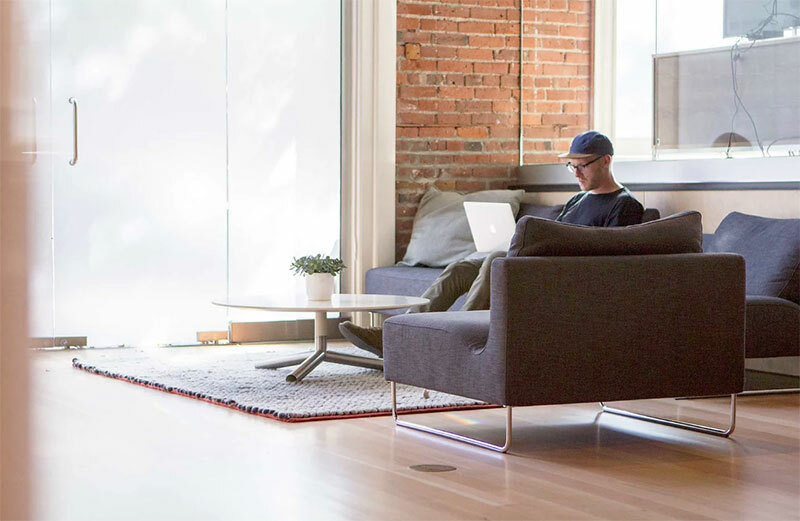 We’re in this weird spot between being a single-product company and being a fast-paced agency in the sense that we do products for companies, but at a more reasonable and livable pace. So, we quantify whether we’ve done good work by that relationship with the client continuing on. They’re the ones who will be able to tell us if something isn’t working or it is working. You can do testing, but you can’t truly know until the project or product is actually finished and out there. It’s up to the client to take that information and feed it back to us. How do you keep people from getting burned out? Oliver: As our team scales and we take on bigger and better projects, there’s always a risk that we bring in so much work or we place so much pressure on designers that after completing a project, they want to leave because they’re so tired out. One of the core things here at MetaLab is that this is a place to be part of a team and practice what you’re passionate about. But it’s about living in a sustainable environment—it’s on all of us to make sure that everybody has a sustainable workload. We end every work week a little tired, but we’re never dreading the next week. How do you keep up with constantly changing web standards and opinions on what good design is? Oliver: Everybody here is genuinely interested in design—we stay up to date with it just out of our own volition. MetaLab actually owns Designer News—that’s an example of how we’re engaged in what’s going on in the broader design community. Ryan: Whenever I’m using an app, I’m always dissecting it because I’m curious about how it works. Designers have to be curious in order to get better at what they do. Why did you chose the visual design for your brand and how did you come up with it? Oliver: We created the logo early on—maybe 5 or 6 years ago, before I joined the company. It’s a great logo, and it doesn’t feel at all dated. The general aesthetic has been something that was there from day one: a focus on beautiful design, and no unnecessary frills. And it’s just carried through. We even made it through the shift from skeu to flat. Ryan: In our early days, we were the go-to skeu guys—we were famous for our shiny buttons. Things have changed, but our core principles are still there. Oliver: We don’t spend much time discussing our personal brand. Really, the people you hire are your brand. Do you have any insight for new or growing designers? Ryan: Keep doing stuff. Design is all about practice, practice, practice. Get your feet wet with whatever projects you can get your hands on—even self-directed projects. You’ve got to just get out there and do work. Oliver: You can sit around and read as many articles or books about design as you want, but the theory only goes so far. You can intellectualize a lot of stuff to do with design, but in the end, a lot of it really just comes down to actually doing it. Ryan: Oliver and I both dropped out of school and landed jobs at local marketing agencies to get our feet wet. Really, the only wrong way of approaching design: not doing anything that’s actual practical experience. We see a lot of designers that are fresh out of school. They’re really good at documentation and theory, but they lack the eye for design. Having a good eye for design really feeds into UX more than I think a lot of people realize, because if something solves a real problem and also looks and works great, it’s so much nicer to use. Ryan: Find a mentor who can give you feedback and help you grow. It’s hard to grow and develop as a designer if you don’t have other designers to work with and push you. Stay humble. The reality is that it’s not possible for any of us to be an expert of everything. I’ve never done Android design, but that’s okay because we have junior designers here who know a ton about Android design—and I can learn from them. Always be open to learning—don’t get arrogant about your skillset. There’s always more to learn. Oliver: At MetaLab, we’re famous for making really beautiful products. But that’s only half the story. In our eyes, a product needs to be not only beautiful, but usable and effective. Your design needs to look great, but it also needs to work great.